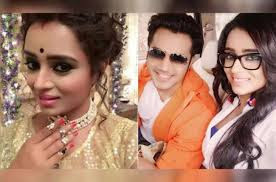 Yeh Rishta Kya Kehlata Hai and Bidaai fame Parul Chauhan raised many eyebrows when she announced her marriage with good friend Chirag Thakkar. Parul and Chirag will reportedly get married in December. It will be a court marriage followed by get together in Parul’s hometown. Later, they will throw a grand reception for industry friends and the media in Mumbai. Parul and Chirag are in a very happy space. We at TellyChakkar would like to congratulate the couple.